She's been voted Austin's Best Personal Trainer for multiple years, but this Top Nutrition Trainer has clients around the globe! 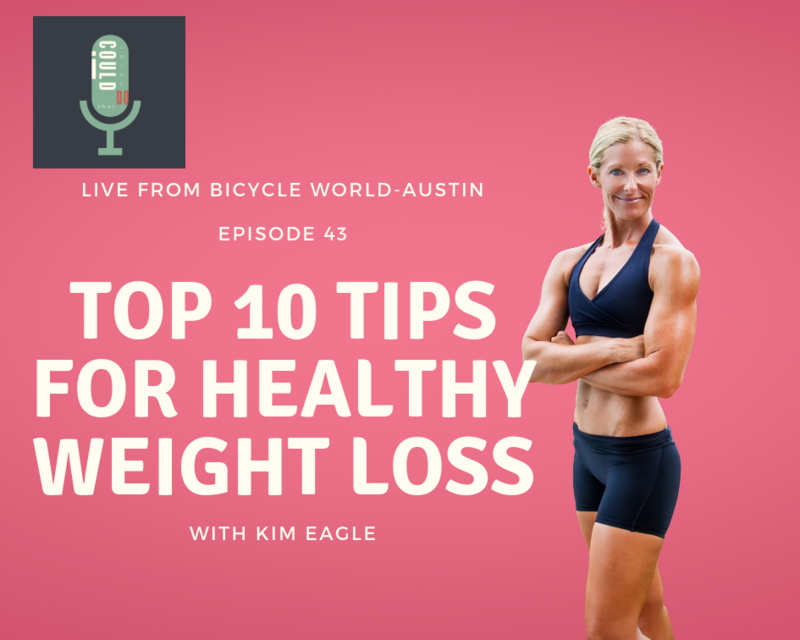 In this talk recorded live at Bicycle World in Austin, Founder and CEO of Earn that Body, Kim Eagle, dispenses her Top 10 Tips for Healthy Weight Loss. Bad news for you folks expecting a quick fix or some magic solution - it doesn't exist. But, by implementing some common sense changes into your daily routine, you can lose unwanted pounds and start chasing peak performance!